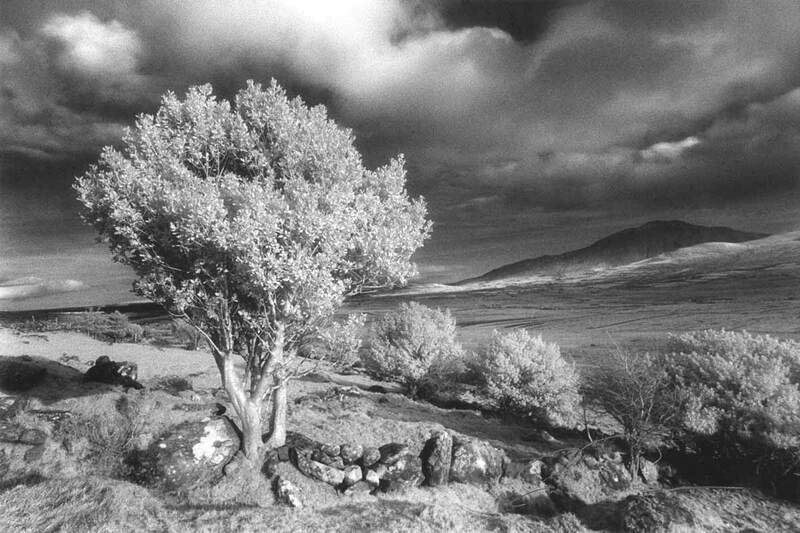 In this workshop we take a step back from the more technical side of photography and explore the more artistic and creative aspects of Landscape photography. Using absolutely any camera and working within your own zone of comfort and ability, we place the emphasis on seeing and interpreting the elements of the landscape through composition and natural light. 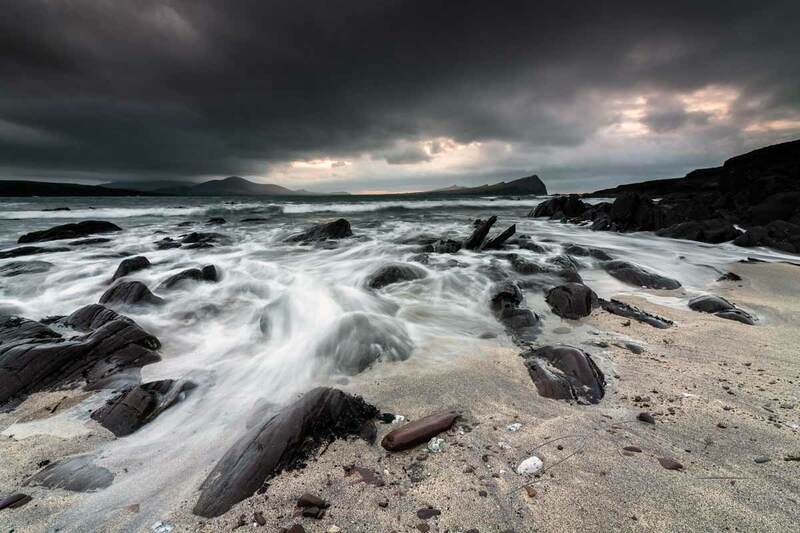 Every location we visit around the Dingle Peninsula becomes a mini workshop as we consider and discuss all the components and planning that go towards making a great landscape photograph.. Throughout the day, equipment and technique take the back seat as we begin with the foundations of composition, deciding what exactly we’re placing in the frame and how we can position elements for maximum impact, balance and visual flow. We study angle and direction of light and the ability to emphasise different sections of the landscape while creating atmosphere and mood. When considering any location and our composition, we’ll examine the static components and the potential of features that are fluid and changing, such as water, wind and the skies. As well as reconnaissance and planning, we’ll examine filters, equipment and apps for landscape photography. We can collect you and your group from your accommodation anywhere on the Dingle Peninsula and begin the workshop or we can meet at an agreed time and place in Dingle. We’ll take a break in Dingle before the evening session and we’ll be back in Dingle (or at your accommodation) around 45 minutes after sunset and dusk. This workshop is suitable for absolutely any camera or device, although having the ability of at least some manual control and the capability to do longer exposures than a second is an enormous advantage to really get the most out of this landscape photography workshop. We carry a range of filters and some tripods that everyone is welcome to experiment with. We have a few smartphone and tablet, tripod attachments and Bluetooth releases that can be used for the duration of the workshop, please contact us in advance of your workshop if you’d like to use them. You choose the size of your group, from 1 to a maximum of 5 participants is recommended and our discount rates apply to groups with 2 participants or more. A group of 5 participants comes to €57 per person when you take advantage of our excellent group rates. All locations are easily accessible from the minibus following paths and level ground with no serious walking or climbing involved.